Motorsports has consumed Robby Woods life. Oil and gas are in his blood, pumping through his veins, and fueling his passion for all things racing and fabrication. His family encouraged his addiction because they knew it well – his grandfather raced in USAC Midgets and his father raced ARCA and NASCAR® Winston Cup. He knew early on that he would never rid himself of this industry he called his lifeblood. The deciding factor for Robby came at the tender age of six and in the form of a Kawasaki KX60. He sped off toward his ambitions, never looking back. He officially kick-started his career by jumping into professional off-road short-course racing, and went on to have eight successful seasons. As a professional racer and off-road vehicle specialist, he puts his passion and ambition to good use by building the most cutting-edge off-road vehicles at the facility he started himself: Battleborn Engineering. This passion, ambition, lifeblood, and penchant for people, led him to Chevrolet. Robby partnered with Chevrolet to build the world’s fastest off-road vehicle, and they donated a Duramax Diesel truck, their most powerful vehicle platform for the build. Known as the Million Dollar Diesel, it will be unlike any vehicle ever built. It’s an all-wheel drive, triple turbo-charged full-tube chassis. To meet the needs of this massive truck, Robby knew that Aeromotive was the way to go for his fuel system. His dedication to this project, including buckets of blood, sweat, tears, and many sleepless nights over the past two years, speaks to the passion and ambition of the man. 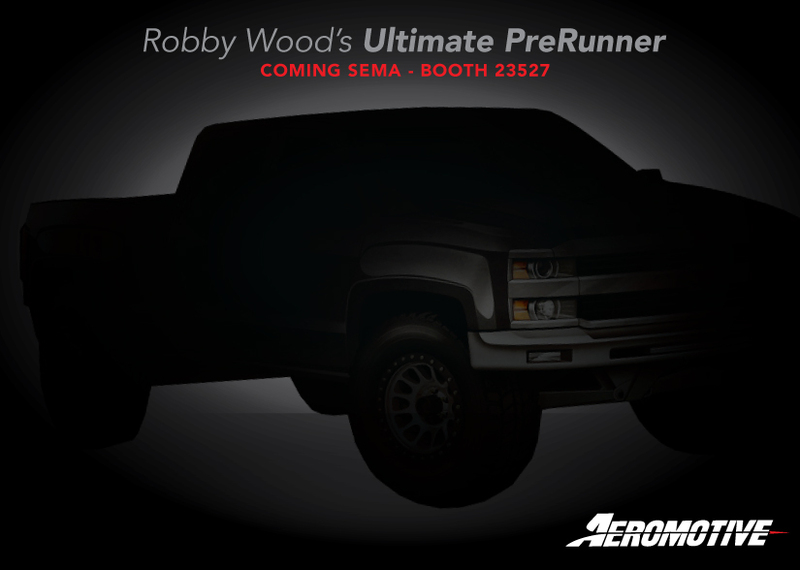 We are excited to announce that phase one of the Million Dollar Diesel will be unveiled at this year’s SEMA show, in the Aeromotive booth, #23537, on Tuesday, November 1st, at 10:30 AM.